The Titans premiere is still a month away, but Warner Bros. Television sure knows how to whet our appetite. Along with a generous gallery of images drawn from the debut episode, today they also released new photos from episode 2, giving us a clearer idea of how this particular take on the classic superhero team may be shaping up. 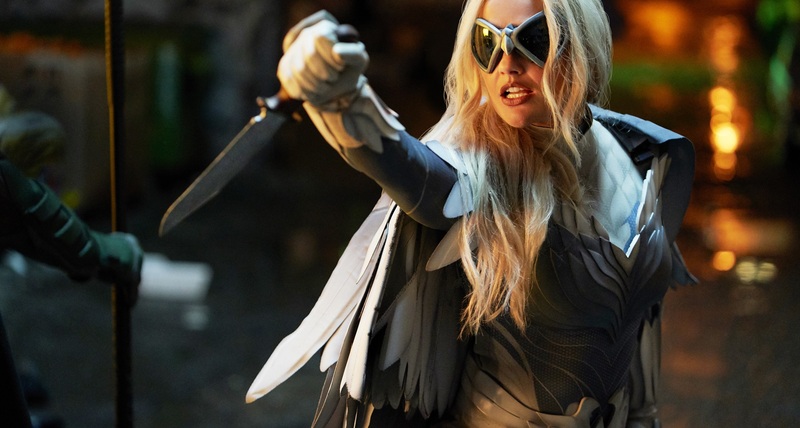 Prominent in the episode 2 photos are Hank Hall and Dawn Granger, perhaps better known as Hawk and Dove. Glimpsed briefly in the trailer, it’s clear the duo can hold their own when fighting alongside Robin, something that’s further made clear in the below images. (What isn’t clear—not yet, at least—is whether their abilities are derived supernaturally like they are in the comics.) The photos also include a look at our first identifiable villains—the frightening Nuclear Family. Titans premieres on DC Universe on October 12, 2018. Sign up for DC’s exclusive new digital service today at DCUniverse.com. Excited for Titans? Then be sure to check out the images released from the series premiere!